Kevin and Charlie discuss Venezuela, Kamala Harris, and Covington Catholic. 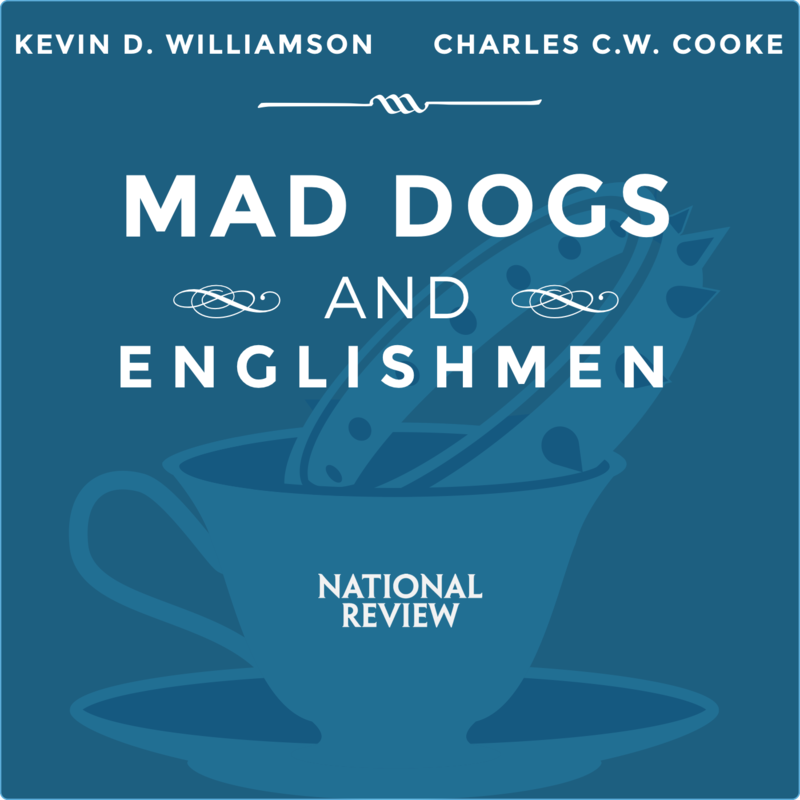 You can access the full archive of Mad Dogs and Englishmen at NationalReview.com/podcasts, where you can listen to four episodes per month for free, or get the entire back catalogue with an NR Plus membership. Visit NationalReview.com/subscribe for details. Subscribe to Mad Dogs and Englishmen in iTunes (and leave a 5-star review, please! ), or by RSS feed. For all our podcasts in one place, subscribe to the Ricochet Audio Network Superfeed in iTunes or by RSS feed. I would love to read an uncensored column by Kevin. The cap on wages subject to FICA is original, and certainly not a Reagan innovation. FDR would have exempted high wage earners from participation entirely, but an amendment brought them in with the cap (originally $3,000, equivalent to $47,000 today). Social Security probably wouldn’t still exist absent the cap, which is integral to the notion (some would say myth) that it’s a pension people pay for and not welfare. Your casual endorsement of eliminating the cap as sound economic policy is pretty off base. Perhaps it brought on the technical difficulties, as punishment from the tax policy gods. Next podcast you can talk about Elizabeth Warren’s new wealth tax on net. Worth over $50 million. Compare and contrast. Yesterday I thought about 55 degrees —> fur coats in Big D when I wore a sweatshirt to run errands. It was 49 degrees and sunny (unseasonably warm) and knowing I’d be climbing in and out of the car I just couldn’t be bothered with a coat. It’s all relative. We went to a ball game in Stillwater this past September where it was 90 degrees and what passes for “clear” in that country; I thought I was going to die/drown in an OSU t-shirt and shorts. Meanwhile my cousin was comfy as could be in a golf shirt and jeans. Even though it’s been months since this podcast series was revived, I want to say how happy I am that it is back. I love these guys. Kevin Williamson is a writer known for his work at National Review.